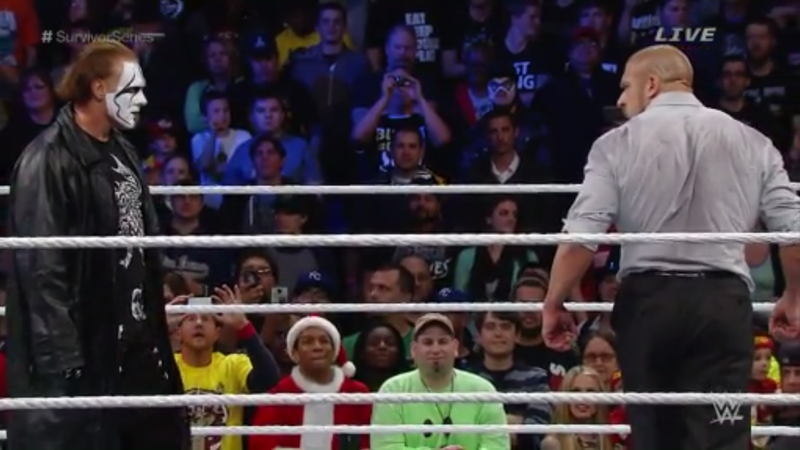 Monday Night Raw #1122: November 24, 2014!!! It’s the image that shocked the world, broke the internet, got muthaf***az bussin a nut.. it got me pulling a muscle in my thigh. Mark out moment of the year? I THINK SO!!! Even I gotta give props where props is due… big up to Dolph Ziggler… the WWE gave him his moment. For those select few muthaf***az who STILL thought this PPV was wack… you know what – KILL YOURSELF. I’m DUN with you b!tches. For those who are still down with the WWE, welcome. 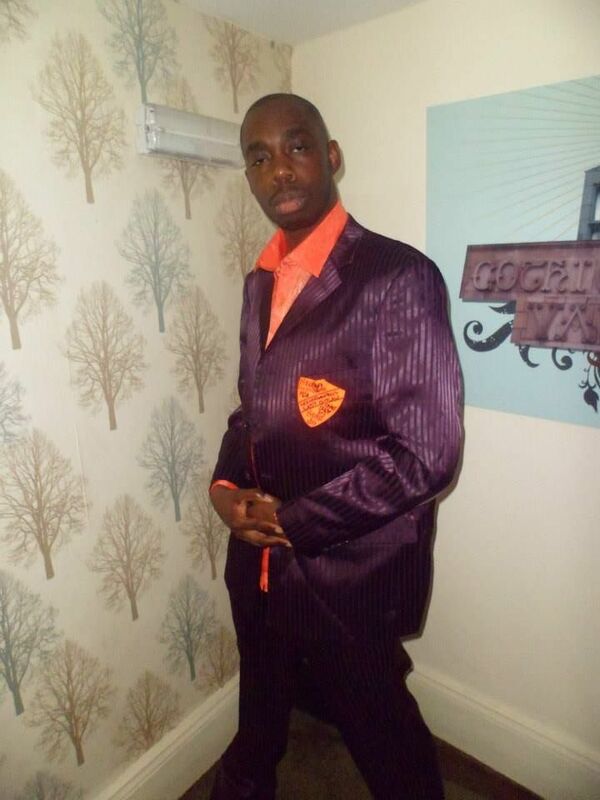 I am your host, Infamous Informer, Wolverhampton’s Last Outlaw, Grant Body – P!!! Let’s enjoy this sh!t… who’s gonna be the new boss man? Look here Triple Teef – don’t cuss us!!! Your team lost – look how long Seth Rollins covered Ziggler while Sting buss your arse – you mean to tell me he rested off and still got pinned? WTF???? NO!!!! DANNY BRYAN?!!!! Let me guess – is Danny the new boss man??? OH SNAP!!!! Tell me it’s true!!!! That’s what you get for f**k!n around with Danny too much Triple!!!! Your B+ player is now the A+ BOSS!!!! Now go to your room! And SHUDDUP! CONFIRMED!!! Danny is the man!!!! Well at least for tonight!!! Get Team b!tch @$$ Authority out here… Mark Henry you let a sell out Sean P your @$$ through school buses… Look at Glenn… I used to look up to him… Now Danny got him selling popcorn and sh!t…. f**k me… he used to set fire on people and sh!t…. Luke Harper gotta fight Dean Ambrose for the I.C. title… we know the Wyatt man dem – even though they on that solo tip, they are still fam… I’ll leave it at that! OH SNAP!!! Either Rusev has to fight in a battle royal for his US title, or he must pledge allegiance to the flag of the United States of America… I know which one I’d pick!!! Even Mark Henry had to laugh at that sh!t! Talking of Mark Henry, he’s gotta fight Ryback and sh!t!!!! I don’t think Mark is sweating that sh!t! …and as for Seth Rollins, I can’t see what the problem is… because Jamie Noble and Joey Mercury are talented in their own right, they can take John Cena and Dolph Ziggler surely??? Oh dear! Vincent Kennedy is bex with Steph & Triple! I did try to tell Triple, he must use di hammer… he didn’t do that – had he did it – the Authority would still be in power… I like that though – he was like – GET IN THE CAR!!!!! HA! HA! But I’m afraid I’ve got some bad news…. Vincent Kennedy said he’s NEVER sorry for anything he’s done… I’m not so sure because the CM P**K worshippers will pull you up for this…. UH-OHHHHH!!!! Looks like Bray Wyatt’s brother was about to be f**ked up by Ambrose! I knew Bray looks out for his fam!!! He’s straight assaulting Ambrose and burying him with those chairs yo! Understand this: Their match at the TLC joint is gonna be straight RUCKUS!!! Just how I like it! f**k all this arm drag and camel clutch sh!t… all that front facelock and fireman’s carry sh!t… I wanna see someone get f**ked up!!! Looks like this ‘New Day’ will have to wait… I support them … they are fighting for A Better Tomorrow!!! Only 1 week left Wu-Tang fans! While Santino and that Cable Guy dude talk sh!t about wrestling… here’s a commercial break, in light of the ‘New Day’…. How crazy is that? Because Mizdow is the stunt double, he’s got replica tag team championships!!! Haha that’s cool! The creativity just keeps on going! Wait a minute what is The Miz tryna pull here??? While MizDow is struggling to fight against the Dust Brudda? MizDow did all the work wearing em down and sh!t… and Miz comes in and finishes them off? All to protect his so-called money-maker? Why doesn’t somebody take a steel chair and lick him in his head? (those moves are banned Grant) DAYUUM!!!!! HAHA that’s f**ked up! Glenn has to serve chips and not bunn them up… Paul Bearer must be turning in his grave and as for his brother… he must have disowned him by now! Now is Sgt Slaughter going down to face Rusev a smart move??? Smart money tells me it’s not!!! You don’t think Rusev & Lana are really gonna put their hands on their hearts and do this are they??? Lana sounds like she’s about to get raped hahahaha! …or maybe not… Rusev about to f**k up Slaughter, here comes that idiot Swagger… does he really think he can take Rusev for the US Title? He failed before, he will fail again!!! I gotta be real – this Raw is slow-paced this week… where’s the divas? Put them on! That Ani James lady is on babestation – don’t let me put her on! I think Glenn is actually enjoying his new job! I would throw mustard all over Santino’s fool fool @$$ too! GOD DAMNIT I HATE THAT FANDANGO!!! First Summer Rae, then Layla, now Rosa Mendes??? He must have f**ked one of em… surely??? Well he better not have had a piece of my Layla… I’LL KILL HIM! She has no idea what I’d do to her…… some say I’m not human….that I turn into the beast around women like Ani James…. YEAH THE MUTHAF***!N Divas are on!!!! What’s that you jabronies were saying that AJ Lee is leaving the WWE to play happy families with CM P**k… seriously you… oh I forgot… I’m talking to myself here… those Internet Wrestling B!tches don’t read my sh!t because my sh!t hits the fan! Oh dear…it was only right Brie turned evil anyway… talent is not sexually transmitted!!!! You can’t say that AJ!!!! Do you know how much men would love to run up Nikki’s pu$$y? Get all up in her guts???? Am I seeing right? The Bunny & Adam Rose Vs Tyson Kidd & Natalya??? This is a mixed tag team match right???? See I wasn’t gonna write about this sh!t but I’ve wondered… have you jabronies created ‘The Bunny’ on WWE2K15??? OH NO! Ryback is hungry! He’s heading to the concession stand! I gotta bad feeling about this! Remember Glenn! The customer is always right!!!! Now I bet those b!tches who haven’t handed in their wrestling card are probably on some ‘Why do they have to team Ziggler & Cena together…’ more like ‘why does Cena have to share the top face’s spotlight?’ Seriously you b!tches, if you happen to be reading… SHUT THE F**K UP. It’s all you f**k!ng do… I’m not a Ziggler fan but I’d look like a fool if I didn’t give the man props… and mama don’t raise no fool!!!! Well the people (kids) have voted on that WWE app… 93% landslide! Seth Rollins teams with J&J Security a.k.a. Patterson & Brisco!!!! Come on guys get in there! It’s only Cena & Ziggler! If that was me I would be throwing punches left & right! Oh Mercury & Noble couldn’t you do better than that???? Supposed to be top flight muthaf***in security and…. what the f**k? Just when it doesn’t get any worse… the muthaf***!n laptop GM is back next week? Where’s Edge when we need him??? You know Triple did say we will be begging for him back… I think he’s right! TRIPLE!!! COME BAAAAACCCCCK!!!! Sorry Danny,, but Raw was WACK!!!! This entry was posted in The Infamous Informer and tagged Cena, GRANT BODY – P!! !, Smack Talk Centre RAW, The Infamous Informer, Wrestling, WWE, Ziggler on November 26, 2014 by Jon P.